a) the people had asked for another story. b) the Pharisees and teachers of religious law complained that Jesus was associating with sinners. 2. What job did the younger son get when a famine came? 3. What was the son hoping for when he planned to go back home to his father? a) That he would be reinstated as a son in the family. 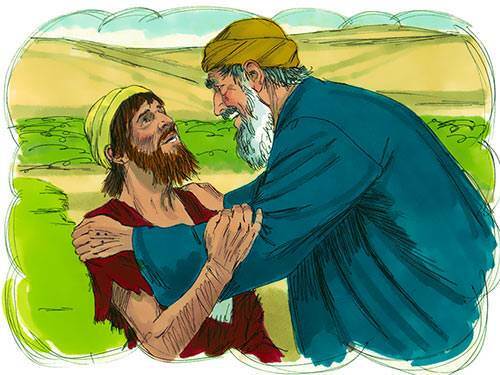 b) That his father would take him on as a hired servant. 4. What was the father’s response when he saw his younger son coming home? a) He ran and embraced him. b) He refused to see him. 5. When the older son discovered that his father was putting on a great celebration for his younger brother, what was his reaction? a) He was very happy. b) He was very angry.